When entering a confined space, it is important to have the proper fall protection and rescue system. The system is responsible for arresting a potential fall, raising and lowering personnel and equipment in the space, and in the case of the LifeGuard—creating a barricade. Pelsue manufactures three main fall protection systems for confined spaces: the LifeGuard, Davit, and Tripod. If you’re wondering what a permit-required confined space is, helpful resources, or a glossary of terms, please check out our index page for the Confined Space Buyer’s Guide. Before we dig into the systems, it’s valuable to know and understand the regulations for fall protection and rescue systems. The two main OSHA standards that cover Fall Protection systems are OSHA 1910 – General Industry, and OSHA 1926 – Construction Alteration, and/or Repair. For the specific regulations, see the bottom of the guide. 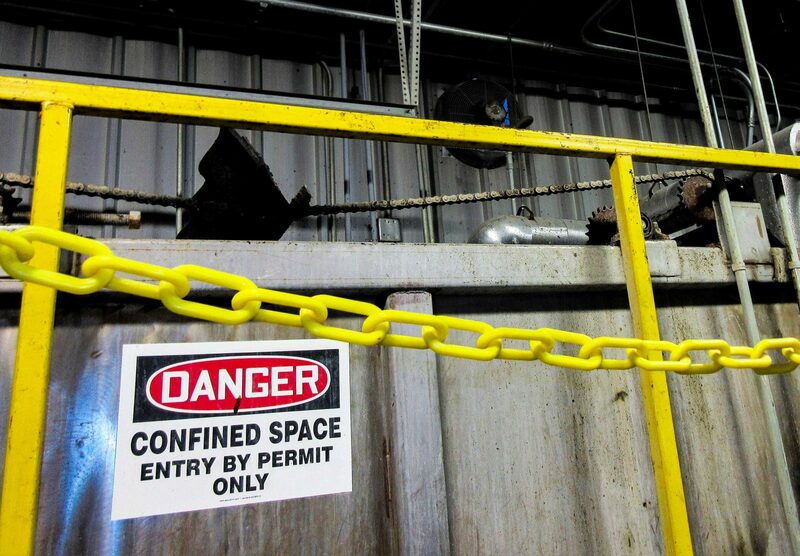 Beyond OSHA, safety standards for confined spaces have also been developed by ANSI/ASSE and the NFPA. When using a fixed ladder, a secondary independent lifeline is needed such as an SRL (requires proper anchorage, usually in the form of a system). When using a hoist, a secondary independent lifeline is needed such as an SRL (requires proper anchorage, usually in the form of a system). You need a means of non-entry rescue, which usually comes in the form of a mechanical lifting/lowering device such as our Personnel or Quick Rescue Hoist. The hoists attach onto the system. When removing entrance covers, the opening must be guarded to prevent accidental falls through the opening. At Pelsue, we’ve developed Fall Protection & Rescue systems that all meet or exceed OSHA and ANSI standards. Our systems are made in Colorado and are built to last. We pride ourselves in the quality and durability of the equipment we make. We’ve been facilitating safe and productive work environments since 1963. 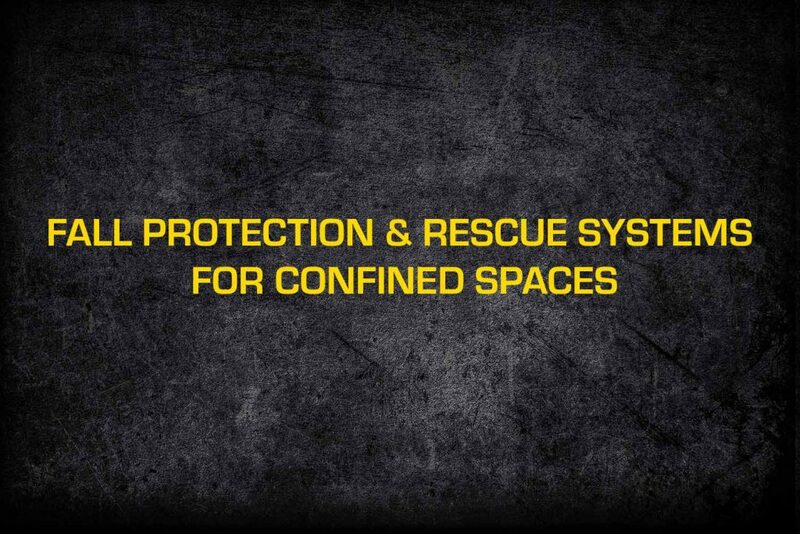 We developed the Pelsue LifeGuard to meet the needs of confined space requirements. The LifeGuard meets or exceeds OSHA and ANSI standards. The system is lightweight, easy to collapse and set up, and is built to last. The system includes dual anchorage points for attaching two independent lifelines. Additionally, the system creates a safe barrier around the manhole entry, so it guards against accidental falls through the opening. Unlike tripod systems, the LifeGuard can easily be deployed by a single person and provide a safe barrier. The Pelsue LifeGuard is proudly made in Colorado. The system easily collapses into two different assemblies for easy transport and storage—the upper assembly and the guard assembly. The Davit System is extremely versatile. The system can be deployed for use in permanent mount sleeves, portable expandable bases, and a vehicle hitch mount system. The Davit is a great alternative to the LifeGuard if you have an area where you can place a permanent base, or where the confined space entrance won’t work with the square barricade design of the LifeGuard. The Davit System is extremely easy to deploy. If using a permanent mount sleeve, the center post can go directly into the sleeve without needing to be pinned. Permanent sleeves allow for a 360-degree pivot, which can allow for easy entry and exit of the confined space. The expandable base davit can be set up and rolled over to a manhole so it can safety be deployed away from the confined space entrance. The vehicle hitch mount system allows you to use your vehicle as the davit base. The vehicle hitch mount connects with 2” square vehicle receivers. The system can be quickly deployed and allows you to reach confined spaced that would otherwise not be possible. 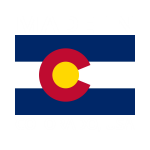 The Pelsue Davit Systems are proudly made in Colorado. Read more about the davit systems here. 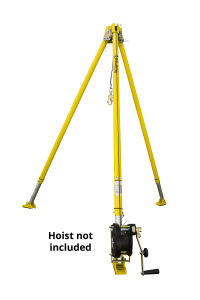 The Tripod is the most common fall protection and rescue system you’ll see for confined spaces. The tripod has three legs which can be raised and lowered in 5” increments. The legs can be adjusted to any angle to meet demanding rescue applications. 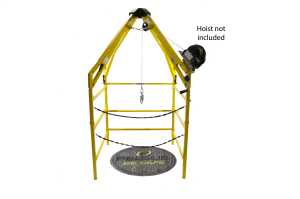 The Rescue Tripod is more cost-effective than the LifeGuard but doesn’t include a barricade to prevent accidental falling into the confined space. The system is also more cumbersome to deploy and store than the LifeGuard and Davit Systems, and takes up a larger footprint. The Pelsue Rescue Tripod is proudly made in Colorado. Read more about it here. 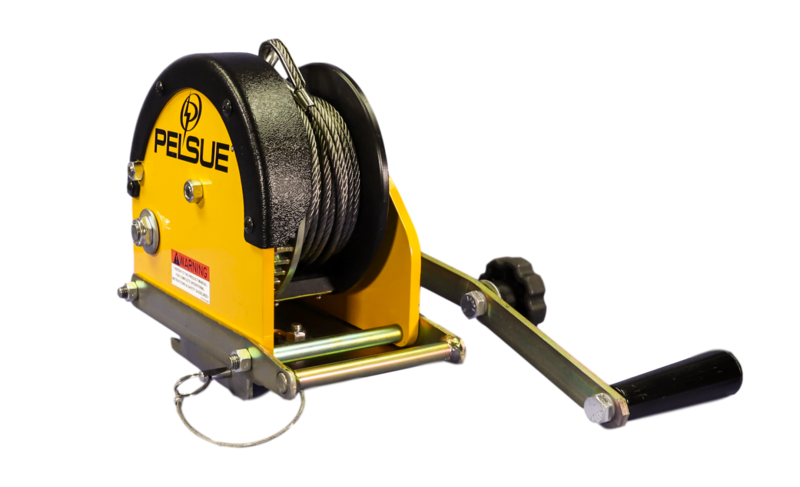 Pelsue’s fall protection systems are built to protect and built to last. To see the quality of our systems in person, please visit us at a trade show! Designed, installed, and used, under the supervision of qualified person, as part of a complete personal fall protection system that maintains a safety factor of at least two. The employer must ensure a safe method of entering and exiting the space. 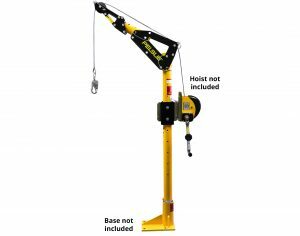 If a hoisting system is used, it must be designed and manufactured for personnel hoisting; however, a job-made hoisting system is permissible if it is approved for personnel hoisting by a registered professional engineer, in writing, prior to use. When entrance covers are removed, the opening must be immediately guarded by a railing, temporary cover, or another temporary barrier that will prevent an accidental fall through the opening and that will protect each employee working in the space from foreign objects entering the space. The other end of the retrieval line must be attached to a mechanical device or fixed point outside the permit space in such a manner that rescue can begin as soon as the rescuer becomes aware that rescue is necessary. A mechanical device must be available to retrieve personnel from vertical type permit spaces more than 5 feet (1.52 meters) deep. Pelsue disclaims liability for any personal injury, property, or other damages of any nature whatsoever whether special, indirect, consequential or compensatory, directly or indirectly resulting from the publication, use of, or reliance on the Pelsue Confined Space Buyer’s Guide. Pelsue makes no guaranty or warranty as to the accuracy or completeness of any information published herein. Pelsue is not undertaking or rendering professional or other services for or on behalf of any person or entity. Pelsue is not undertaking or performing any duty owed by any person or entity to someone else. Anyone using the Pelsue Confined Space Buyer’s Guide should rely on his or her own independent judgement or, as appropriate, seek the advice of a competent professional in determining the exercise of reasonable care in any given circumstances.